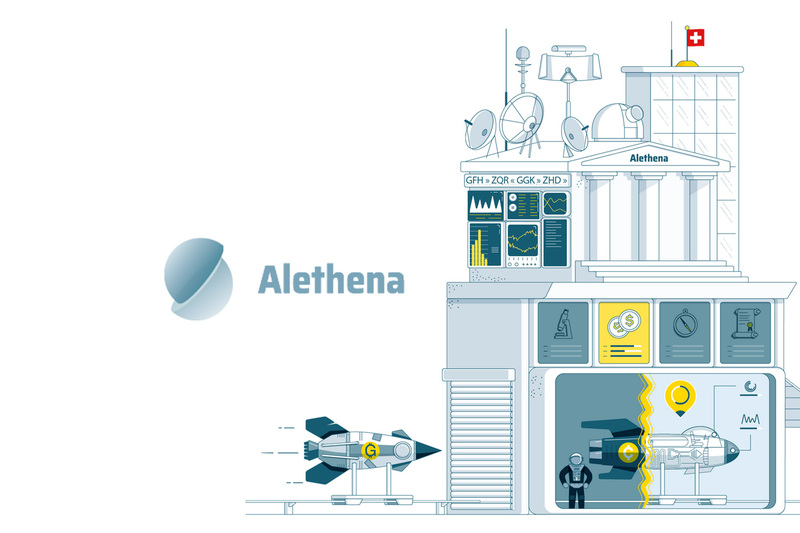 New ICO evaluation and rating company Alethena has dropped a major bombshell on the ICO rating world. They have revealed in a blog post how they managed to buy fake ratings for an ICO they listed on ICO Bench. This suggests that current ICO rating systems are perhaps no longer trustworthy and may have been corrupted by greedy “experts”. But will their service be any better than the incumbents they intend to replace? Being a cryptocurrency investor can be very difficult. In many ways, when choosing an ICO to invest in, a lot of guesswork is involved. Since the industry in general is still largely unregulated, and scams happen all the time, investors often need to rely on their instincts to determine when to invest, and when to run. In response to this, several ICO rating websites appeared that claim to offer unbiased reviews on ICOs and how trustworthy are, or aren’t. These sites make money by allowing projects to pay for premium placement to ensure that their project gets the most amount of views and hype. Views and hype generally lead to more investors buying into a project. This kind of premium deal, according to Alethena, means that only ICOs that are willing to fork out some BTC will get the most attention – not the project that is highest rated or viewed as being the most trustworthy. While these sites are open about their premium placement plans, the fact that reviews and scores can be paid for is something that appears to be happening under the table. 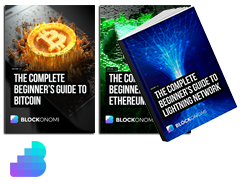 That is, at least, according to the blog post, “This Is How Easy It Is to Buy ICO Ratings — An Investigation” written by Alethena co-founder Markus Hartmann. According to the post written by Hartmann, after making their listing they were quickly approached by two people through Telegram. These people offered positive reviews in exchange for payment in Ether. In one case, the experimenters paid $800 to an individual using the name Vagiz, and then they paid one ETH to another user calling themselves John Smith. Each time, their requested scores and written reviews appeared exactly as promised. To further cement their point, their paid review which consists of four paragraphs spells out the word SCAM when you take the first letter of each paragraph separately. The person who posted the false review was “Stephano Constantinou”. According to his page on icobench.com, he has given out an average review score of 4.7 out of 5.0 on 93 separate projects. Basically speaking, that means he never gives less than a 4-star review. He also gives out 3 times as many 5-star reviews as he gives out 4-stars. So what does this mean? While it’s impossible to say to what extent the system has been corrupted, it is clear that at the very least, a number of reviewers on these sites are not playing by the rules and are accepting deals. 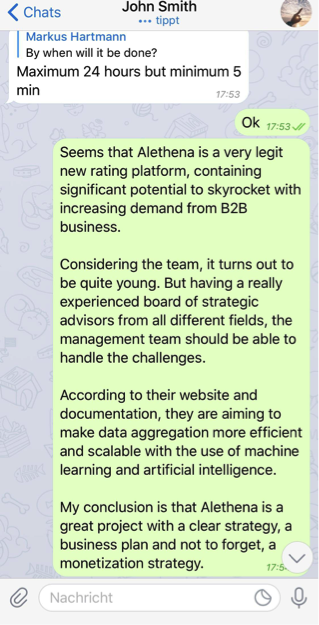 In an interview with German crypto news site BTC-Echo, Alethena CSO Benjamin Rickenbacher had a few words to say on the ICO world today. In other words, no backroom deals allowed, and no premium placement services to give unfair advantages to potentially untrustworthy but cash-rich projects. What is yet to be seen is if anyone in the ICO space will take them up on their offer and choose them as their preferred information source. The blog post revealing the pay-for-reviews scandal has been out for several days now, and ICO Bench appears to have no even bothered writing a response, apology, or removing the review who posted the false review. In fact, the fake review was still up when we checked before posting this article.